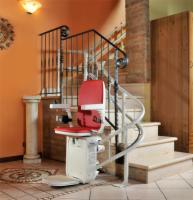 By popular demand, AmeriGlide is proud to bring you our new Platinum Curved Stair Lifts! In the past, curved stair lifts have been too expensive for many people to install in their homes, due to the customization required. 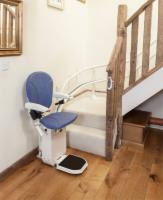 Now, AmeriGlide is offering the most affordable curved stair lift on the market today, online. Many curved stair lifts can take months to be delivered to your home, while AmeriGlide has the ability to deliver a curved stair lift to your home in a couple weeks! 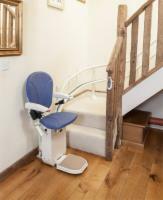 Contact our stair lift specialists today to hear more about this amazing new product from AmeriGlide. You will love how well the Platinum or Platinum HD will seamlessly fit into your home!